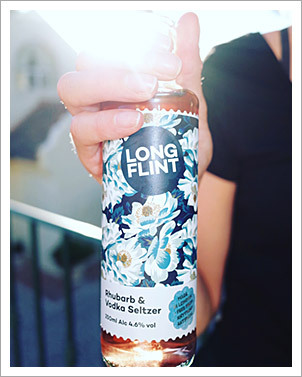 After a few years working in the craft beer biz I left to set up my new venture - Longflint.com - we make craft bottled cocktails. There are *SO* many crimes committed in the name of ready to serve bottled or canned cocktails I felt it was time to create something that tasted truly great that didn't use any of the artificial colours or flavourings that you normally find. A bit of a change of direction for me this one. 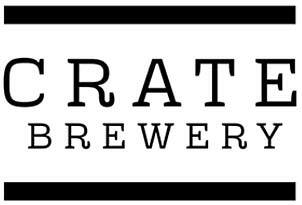 Back in December 2013 I started working with CRATE Brewery, helping them with product development and overall brand direction. Given my love of food and beer it was a bit of a no brainer - new craft breweries are very similar to start ups in a lot of ways and having a mix of skills is really useful. Plus, I get to commute to work along the canal tow path - hanging with the ducks! Junior Astronaut is an iOS / iPad app all about the wonders and science of space travel. I led the project from the beginning in my role at Crank Publishing, working with a crack squad of illustrators, developers and voice artists. I also negotiated a publishing deal with Immediate Media that gave us distribution and marketing support across multiple print and online titles. Junior Astronaut received some glowing reviews and we were really pleased to get a Kirkus star award (a big deal in the US apparently) and were featured as New and Noteworthy by Apple in the US and Canada amongst others. 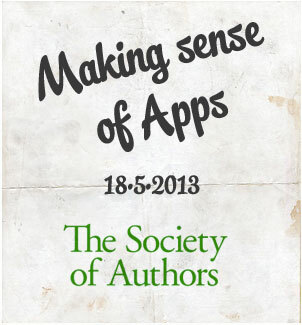 Following on from my presentation at LegUp I have been asked to speak at the Society of Authors. They've asked for 90 minutes - blimey! Instead of me blabbering on for that amount of time we've decided to turn it into a bit of a workshop where I'll be assessing whether their ideas have a chance of making it in the App store. 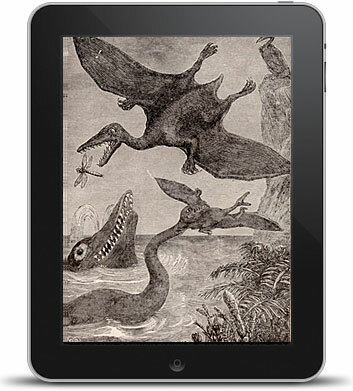 Whilst it's still in production I'm not allowed to announce the full details of the project but lets just say it's for a well established dinosaur franchise and I'm having to apply all my producer skills to make it sing and dance as an app! 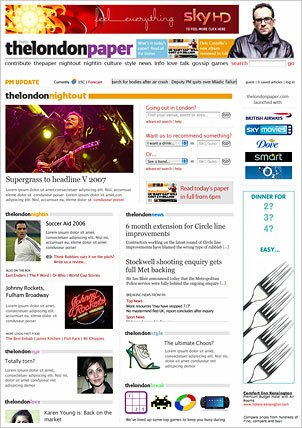 In my last role at News International I was the Digital Product Director and Online Editor of TheLondonPaper. TLP was a bold attempt by Rupert Murdoch to establish a foothold in the free newspaper market which was (and still is) heavily dominated by Metro and subsequently The Evening Standard. I ran a great team of writers, designers and developers building editorial, design and production systems from the ground up and was proud to deliver everything on-time and on-budget. Whilst at News International I was also lucky enough to have a similar role running the design and production of the bafta nominated CD-Rom 'TheMonth' and launched mutliple versions of both The Times and The Sun newspapers online. In the build up to launching Junior Astronaut, I had a number of discussions with Chris O'Shea who runs CowlyOwl, an independent app developer. 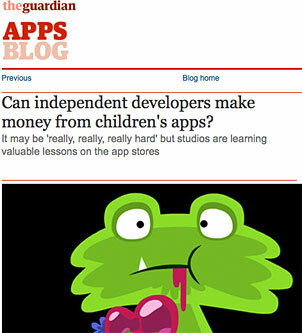 He was recently a guest host at LegUp and he asked me to speak on the pithy subject of whether Indie Developers can make money from Educational Apps. I kind of swerved the main question (nicely summarised by James Huggins - it's possible but very hard...). 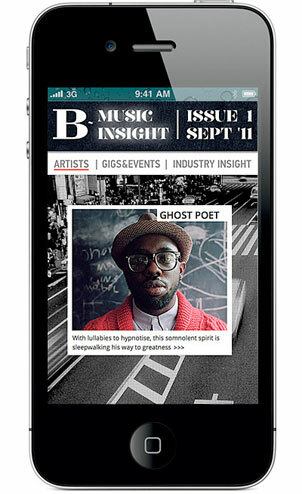 Instead I focused on my experience of marketing apps and doing deals with big publishers. I live in an old Victorian warehouse in Harringey. My flat has been converted with 3 bedrooms and all mod-cons, but upstairs is pretty much as it was when the building was used as an Organ Factory from 1898 to the 1940s. It has an interesting role in local history as the UK's first cinema organ was built here and installed just around the corner in the now defunct Coliseum cinema on Green Lanes. I was approached by music consultancy agency Howling Monkey to develop a full design and blog platform for an internal project for international fashion house, Burberry. 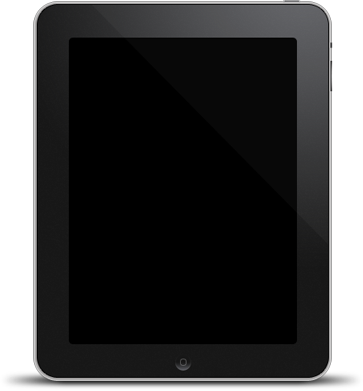 The task involved all graphic design, html and CSS, some light php and the building of a custom WordPress template that had to support mobile and tablet access. The site went live in September but is only visible to Burberry employees.